A quality pair of boots will protect you from the elements in the cold of winter, the chill of fall, the heat of summer, or the rains of spring. Your shoes might not be your first thought, that is until you get caught in the first inclement weather of the season. A great pair of footwear protects you from the ground; beautifully made boots will keep you warm and comfortable on your walk to work; they can even complement your outfit to give you a little extra confidence. This holiday season, as you’re thinking about gifts for yourself, your kids, or your significant other, consider a pair of expertly-crafted American made boots from Evolved Threads buyer’s guide. This Black Friday, this holiday season, or in preparation for the New Year-new you, consider this a sample of best in class boots made right here in the USA. These manufacturers use the best quality leathers, construction, and heritage styles to bring you timeless shoes that are bound to get genuine complements. The Danner Mountain Light might be one of the best hiking boot in the world. For over 30 years these shoes have helped set the standard in all-weather and all-terrain, American-made footwear. Handcrafted in Portland, Oregon, these boots define “made in USA”, using the same craftsmanship standards Danner has used since 1932. They are a bit more expensive than your average pair of Timberlands, but that’s because they are made in the USA with the highest grade materials and shoe-making techniques. They have a full-grain leather single-piece upper and a waterproof Gore-Tex liner ensuring dirt and water are kept out. And because of their design, these Danner boots can be recrafted once they’ve seen some wear and tear from the rugged outdoors and mountain wilderness. As with most of the brands we feature, Wolverine is a heritage brand that has been making boots in the USA for over a century. The 1000 Mile series is their iconic high-end model that uses premium materials and craftsmanship to deliver a superior product from their everyday shoes. The 1000 Mile Wedge boot is a great modern crossover style that combines one of their most popular boot frames, the 6-inch, with an awesome wedge style sole. All the parts are sourced and stitched in America, from the Horween leather out of Chicago, to the wedge outsoles made in Sullivan Missouri. These boots are American made down to the laces (which are sourced from a company out of Cumberland, Rhode Island), making for a great story as well as a great wear. They use a time-tested Goodyear Welt allows for breathability for your feet and also allows for repeated recrafting ensuring your boots can be worn for well over their claimed “1000 Mile” name. Chippewa has been making boots in Wisconson since 1901. The Shipton Boot in black suede is an exceptional and different style than the other boots we’ve reviewed for its shape, its look, and lower price point. They source many of the materials globally to reduce costs, though the boots are manufactured here in the United States. These shoes feature a moccasin-style toe, contrasting white stitching, and subtle but eye-catching yellow and black laces. Inside, they are as comfortable on your foot as any other shoe because of their Texon Insoles. Outside, they can take a beating and while staying slip-resistant on the ground from their high-end Vibram heritage outsoles. This is a really unique pair of boots to add to your wardrobe. The Filson Nicks Robert Roughout Boot is a beautifully constructed shoe with an eye-catching design. It has suede Chromexcel leather from the U.S. Horween factory, which is one of the most high-end Horween leathers on the market. They are constructed with your feet in mind, using high-arched hand-crafted leather soles for the ultimate in comfort. The shoes use a welted construction and a Vibram western-composition soles which allows the boots to be recrafted multiple times as the outsoles wear down over time. As with all Filson products, they are guaranteed against workmanship defects, failure of the materials, or production defects for the lifetime of the product. Quoddy is a really cool brand out of Maine founded in 1909 that, beyond just being American Made, is also completely custom. For the price point, you would be hard pressed to find another company making shoes of this quality completely that are customized to your tastes. Chukkas happen to be one of our favorite style boots and if you’re going to buy a pair, the U.S made Kennebec Chukkas are your best option. Everything about this boot is meticulously crafted by hand with traditions passed down for generations from the Passamaquoddy tribes of Maine. 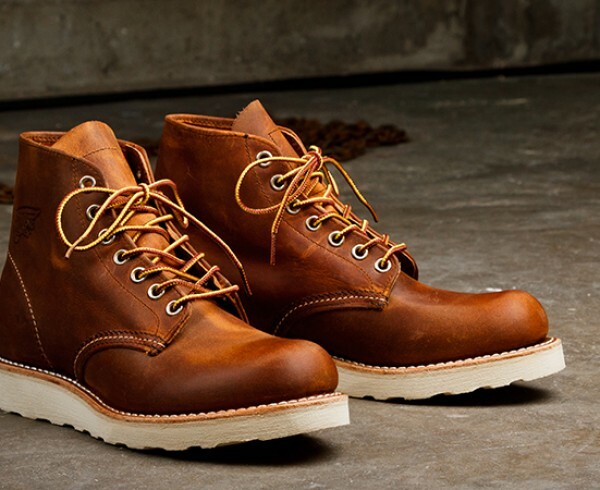 The upper is made of Horween Chromexcel full-grain leather with Vibram rugged soles. Everything from Quoddy comes highly recommended if you’re looking for a new pair of boots or shoes. Another Maine shoe company that has been around for over 50 years, Rancourt & Co. has a wide selection of premium-quality shoes and boots. The Oxford boot is a more luxurious boot in a classic Oxford or Balmoral style. The company uses a superior stitch construction called the Blake Welt Stitch which allows them to use more delicate leathers like the French Calfskin used in this “dress boot”. Despite being made from these higher end materials, the boot sports a watertight outsole that is durable and water resistant. This American made boot comes in both black and brown and is accented with brass eyelets as well as waxed cotton laces. 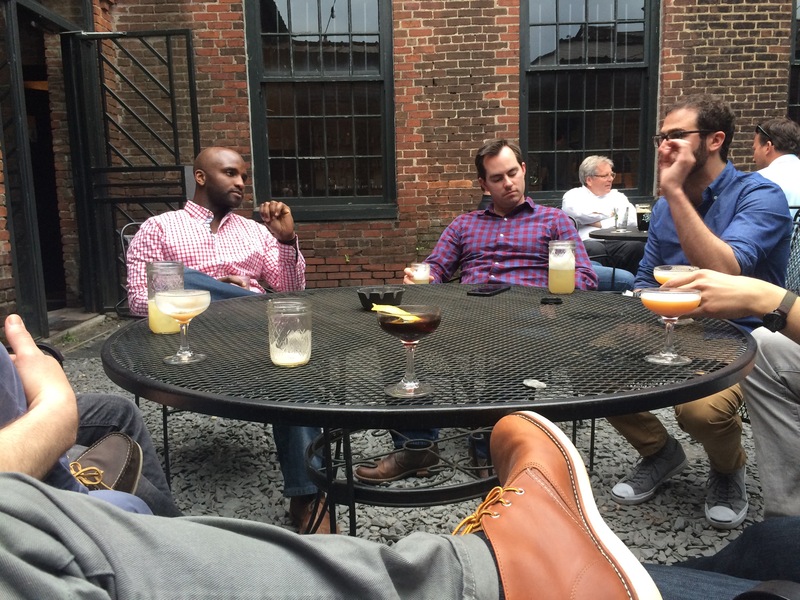 Allen Edmonds is a household name because of their exceptional quality and history. Everything about how they source, manufacture, and service their shoes is done to ensure their customers keep coming back for generations. Their ways might be a bit old-fashioned, but “until someone improves [their] way of doing things, [they’re] sticking with what [they’ve] got.” So if you’re going to buy a Chelsea boot, the most iconic of urban styles, then Allen Edmonds is the best place to start. The beauty of a Chelsea boot is that it can be worn with jeans as easily as a 3-button suit. A versatile pair of footwear that can go anywhere and hang with anyone, they’re stylish and simple, but have enough detail and craftsmanship to make a quiet statement. And best of all, they are made right here in Maine, USA. Oak Street Bootmakers, a company started as an American legacy brand with the intent on carrying on the family trade as a master cobbler, has a very simple mission statement. First, they are handcrafted in America and second, they are designed for longevity. The Dainte Trenchboot is a nod to timeless styles of older generations with a very modern feel. These beautiful, brown, casual boots are made with a fully recraftable oiled leather Waterlock sole, stacked leather heel and a Vibram toplift. The stitching is immaculate with detailed accents throughout the boot that trace the shape of the upper and lower parts of the boot. From personal experience, we can say that the Redwing Beckman Round Boot is a meticulously constructed top-quality shoe made from some of the finest Featherstone shoe leather on the market. These boots are perfectly constructed in the United States for the toughest seasonal city weather and are destined to only look better with age. These American made shoes are fine with minimal care and don’t need to be treated gently, but the Beckman Boot spruces up beautifully with a bit of high-grade shoe polish. These are the kind of boots that will last you for 20 years. On the outside, the black eyelets and waxed black laces complement the boots while on the inside, the sole slowly conforms to your foot creating a custom feel the more you wear them in. This is a great pair of boots to dress up or dress down.